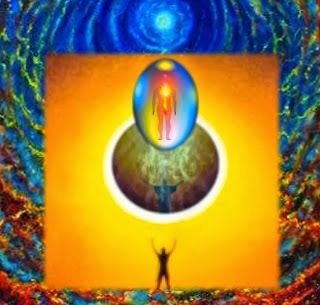 Many of our Higher Consciousness Ones are experiencing an extreme range of “agony and ecstasy” because you are traveling through Gaia’s, as well as your own, fourth dimensional aura. The last three ninths of any project is the most challenging. The end of any project is the most challenging because you have been working on it so long that you are getting “sick and tired” of doing it. When you fall into that state of consciousness, you have an opportunity to edit your behavior at a causal level. With any written project, the formatting of the project, which is very important, is the final task in your process of fine-tuning. However, by that NOW, you have been seeing the same “mistake” so many times that you do not see it as a mistake. Instead, you see it as what you want it to be because you do NOT want to have to look at that project again. We are, of course, talking about the project of personal and planetary Ascension. We are telling you that NOW you are going into virgin territory that you have never visited. You may have visited lives in which you personally ascended, but Gaia had not yet ascended. Therefore, the process of Gaia’s Ascension is unique to all of you. Some of our volunteers have had the experience of planetary Ascension, such as on the Pleiades or on Venus. If you are among those ONES, please go into meditation to remember your experience in that incarnation. This remembrance will greatly assist you in controlling your own confusions and frustrations. Then, once you are calm and centered, you can better assist others to be calm and centered. It is for this reason that we are inviting you all to take one more conscious journey through the fourth dimensional Astral Plane. 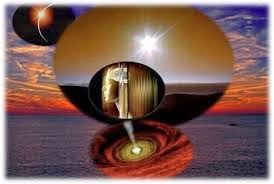 While in the fourth dimensional perspective of your current incarnation, you can also perceive all the other incarnations that you have experienced on the body of Gaia. As you move into higher and higher sub-planes of the fourth dimension, you will gain more objectivity. The more detached you are from the rules of your 3D life the more you can perceive your own behavior. The reason for this detachment is that, the higher your state of consciousness, the less you judge that which you perceive. The third dimension is so filled with fear that many of you fall into judgment as a way of distancing yourself from those who are of the “power over others” persuasion. However, judgment lowers your own state of consciousness, which lowers your ability to release that behavior from your Self. As most of you have discovered, the higher your state of consciousness, the more you can perceive areas of your own behavior that you wish to amend. It is important to remember that if you judge yourself for your behavior, your consciousness will drop into a frequency in which you cannot unconditionally love, forgive and accept your Self. In other words, you cannot do for another what you cannot do for your Self. If there is any part of your Self that you judge, you will also judge that behavior in others. 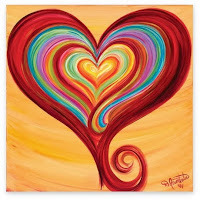 A fifth dimensional state of consciousness is based on Unconditional Love. When you fall out of Unconditional Love, you will fall out of your fifth dimensional state of consciousness. When you fall out of fifth dimensional consciousness, you lose your higher perspective of reality. When you lose your higher perspective of reality, you begin to feel trapped in the third-dimensional illusions of limitation and fear. It is difficult to maintain a fifth dimensional consciousness because your physical reality is riddled with fears and illusions. In fact, these illusions and fears are the most difficult component of your daily life. How do you maintain a fifth dimensional consciousness so that you can look through the illusions to perceive the TRUTH? Yes, you are correct. You can only look through the illusions when your fourth dimensional aura is clear enough that you can look through your own aura. Of course, your fifth dimensional SELF, who is the YOU that resonates to a fifth dimensional state of consciousness, can look into your fourth dimensional aura to easily perceive the wounding within your own aura. Then, your fifth-dimensional SELF, the you that always resonates to 5D consciousness, can easily send Unconditional Love to your third-dimensional Self, the you that resonates to 3D consciousness. The challenge is, can your 3D Self recognize this higher 5D Being as a higher expression of your own Multidimensional SELF? The third dimension has taught you to be “humble,” but too often third dimensional humility is actually a third dimensional way to judge yourself. You have learned about judgment from all the persons who have judged you or others. It is for this reason that releasing judgment from your consciousness is such an important part of your personal and planetary Ascension. Of course, since you cannot give away what you do not have, you can only release your judgment of others when you have released your judgment of yourself. However, the physical world has trained you to believe that self-judgment is a form of humility. This is an incorrect belief. Self-judgment comes from inner fear, whereas humility comes from inner Love. The fear that creates self-judgment expands to create fear of judgment from others in your outer life. On the other hand, the humility that comes from inner, Unconditional Love creates the ability to Unconditionally Love, Forgive and Accept all life. We know that loving, forgiving and accepting all that is occurring during the chaos that is preceding Gaia’s great change is a lot to ask of you. However, if you remember that Gaia is a “cause and effect” planet, you will understand why we are saying this to you. Whereas judgment stops forward movement, Unconditional Forgiveness encourages forward movement. Think in terms of your Self. How do you feel when someone judges you? Do you want to listen to and accept what they have told you? It is the same if you judge yourself. Do you listen to and accept your own self-judgment? If so, how does that affect you? As you move beyond the lower astral plane of the fourth-dimensional Portal/Corridor that YOU are creating, you are remembering that energy out is energy back. Therefore, you are recalling that what you put out into your world, you are simultaneously pulling into your Self. As you complete the healing and transmutation of your Adrenal Glands, (http://suzanneliephd.blogspot.com/2015/06/fourth-dimensional-mystery-schools.html) we remind you that these are your reactionary glands. As you increasingly gain mastery over your reactions to third dimensional stimuli, you will progressively live in the NOW of your fifth dimensional consciousness. Within this higher state of consciousness, you can easily choose to NOT react. When your consciousness is calibrated to the fifth dimension, you perceive reality as energy packages which carries a potential reality. Furthermore, from your higher consciousness you can easily perceive the frequency within that energy package. If the energy package is filled with fear, you will UNCONDITIONALLY LOVE it and blaze it with the VIOLET FIRE. In the NOW of this action you transform that energy package before it has “time” to become implanted into the body of Gaia to become a reality. From your fifth dimensional perspective you can also read the emotional content of these energy packages. Therefore, when you transmute the emotional content from fear to Unconditional Love, you will then ground that transmuted energy package into Gaia. Do you see how you are giving a great service to your ever-ascending reality? 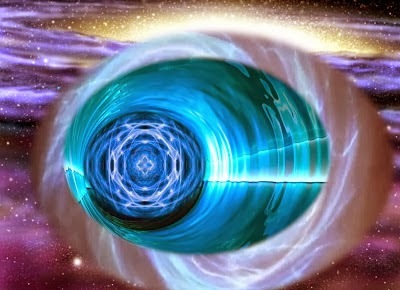 NOW that you have visited the Lower Astral Mystery School, (http://suzanneliephd.blogspot.com/2015/06/fourth-dimensional-mystery-schools.html) you have been able to Unconditionally Love and transmute your own Lost Ones. Hence you will be increasingly able to Unconditionally Love and transmute the thought forms and energy packages that will become ever more perceivable to your expanding perceptions. Remember to love and efficiently ground all energy packages filled with Love, as they will be of great assistance to Gaia. In order for you to best assist Gaia with Her process of Ascension, you have cleared, and will continue to clear, your own lower astral fears, reactions and judgments. We know that your assignment is no small task for your human expression. However, what is impossible for your third dimensional Self is easy and natural for your Multidimensional SELF. When your physical Self is fully connected to your fifth dimensional consciousness, you will be fully connected to your Multidimensional SELF. Then, you are NO LONGER alone because you are ALWAYS surrounded by the higher frequencies of your Multidimensional SELF, who is constantly within the NOW. From this NOW, you are sending Unconditional Love and Violet Fire into your physical Self and your third dimensional reality. Because you have freed your most wounded expressions of Self, and because they are continually being educated about that TRUTH in the Astral Mystery School, you are starting to feel like a different person. The heavy weight of third dimensional responsibility, floating fear and depression are lifting from your consciousness. Because your wounded Self is being continually healed within the Temple, you can better relax into your expanded versions of SELF. We remind you to listen with your High Heart and see through your Third Eye to best receive your messages from the higher dimensions. These messages were always there, but the static in your lower astral field distorted them beyond your recognition. We know that many of you have done this inner work many times. However, as your consciousness expands into higher and higher frequencies, you must send your grounding cord deeper and deeper into the areas of your physical Self that you once judged, feared or ignored. You can only go as high up into your SELF as you are willing to go down into your unconscious. Also, you can only go as high UP into Gaia’s atmosphere as you are willing to go DOWN into Gaia’s Core. If you do not go into Gaia’s Core to be fully grounded, there can be distortions in your aura, which will distort your higher messages from SELF. One of your greatest challenges will be to recognize a distortion, expand your frequency, and then perceive that Multidimensional message again from a higher state of consciousness. The time of waiting was almost over. I knew that. I could feel it in my Soul. What else lay hidden within me that was stopping a fully conscious experience of my Multidimensional SELF? I turned around inside my mind and opened up my heart. Old familiar memories tickled my awakening mind and stroked my heart like the touch of an Angel. Friends and comrades that I had known, long before my first embodiment, rushed forward to greet me. My Divine Complement slipped neatly into my form. I was united again. She-he-I were complete. My memories raised another octave as I embraced more and more portions of my SELF. “I am Home,” I heard a voice whisper. But wait; there are no voices in this realm of telepathy, empathy and all-knowing. The thought made my heart thump, and I felt my body sitting heavily in my chair and my hands tightening into a fist. I felt my feet pushing against the carpet beneath me as if to push it away. My eyes flew open to see the physical room, as I heard the traffic sounds outside my window. Just as the doorway to my heart began to close and the tears began to form in the corners of my eyes, a glimmer of Light entered the room. Like the wisp of a butterfly’s wing the glimmer fluttered into my heart and stopped the door from closing. The glimmer floated up to my mind like a feather caught in an updraft. The tears of fear became tears of joy. My clutching hands relaxed and opened – palms up. My feet eased against the carpet, and I felt the comfort of its grounding support. I calmed myself to remember the world that I believed I had just left. I felt that world, that reality, inside my heart and inside my mind. I brought it all the way to the tips of my now relaxed hands, down into my toes, through the carpet and into the Earth beneath it. The wings of the butterfly changed into the wings of an eagle and wrapped around my body like a cloud of Light. “Home is a state of consciousness,” my friends from within reminded me. “You have journeyed down into the womb of Mother Earth to create a new life, not just for you, not just for the planet, but also for the Light. Within that moment, I surrendered to the promise I had volunteered to keep. Finally, I could remember what I had promised to do long, long before I was born. Now I just had to BE it. Dear members of our Away Team in the United States of America. On this day, July 4, 1776, you adopted The Declaration of Independence because you refused to participate in the lies and illusions of others. “We will NOT participate in a fear-based reality. We are no longer willing to be lied to and frightened. We are Multidimensional Beings who have entered into a third-dimensional body to assist Gaia. “We repeat that we will NOT tolerate lies and distortions of reality any longer. Therefore, we say to you all – Blaze, Blaze, Blaze the Violet Fire into OUR ascending planet. “We love you unconditionally and blaze you with the Violet Fire. As we do so we declare from our High Heart that we will NOT participate in a reality of illusion and fear! “We took Earth vessels within this NOW to rescue Gaia from the clutches of greed and deceit. We say, blessings to you, those who are afraid of the Truth, afraid of Ascension, and afraid to lose your power over others. We say to you, we love you unconditionally, and we bless you with the Violet Fire. “We have been frightened by your fear, but now we transmute that fear into Love, and we react only with Unconditional Love. We ask all of humanity to join us in this endeavor of sending Love into the thought forms that are filled with fear.